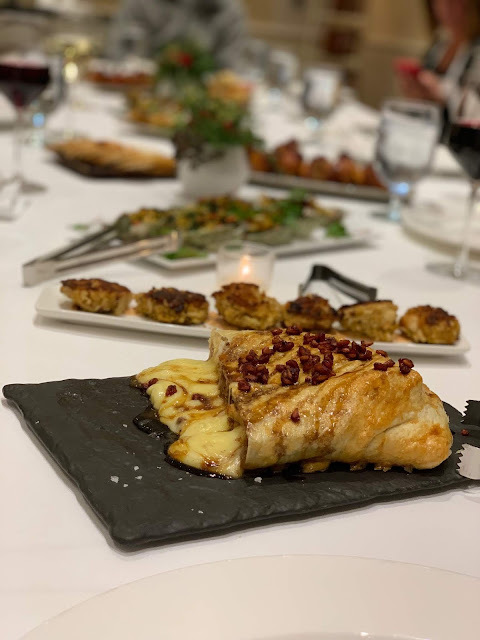 Whenever I see Baked Brie served at a cocktail party, my first thought is "That's gorgeous. 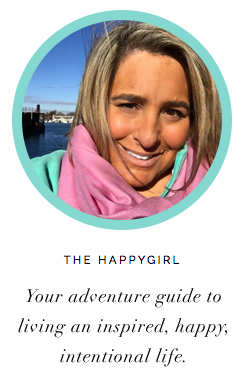 When did she have time to make this difficult appetizer between creating the perfect playlist, preparing the themed cocktails and cooking little bites all while looking so breezy and happy?" This weekend one of my best friends and I met at The Chatham Bars Inn (Cape Cod) for a girls weekend. On our first night we took a cocktail themed cooking class,. There were ten other students and of the five appetizers, we selected the Baked Brie. Neither of us had made this before and we were a little nervous about our creation being served to the class. With recipe in hand, while sipping a Seasonal Cranberry-Rosemary Mule, it was super easy to prepare this app. We knew for certain it was perfect when Chef cut into it and it looked like something Martha Stewart would serve on Christmas Eve. I'll be making this for several cocktail parties this holiday season. It's such a beautiful, festive presentation and an ideal warm appetizer for a cold winter's night. Here's to happy cocktail foods! Thank you to Chef Stephanie and Chatham Bars Inn for this recipe and a fun evening in the kitchen! Unroll puff pastry from container. Use a rolling pin to roll out the dough. Lay the pastry gently on a baking sheet and let sit on the counter with a dish towel over it while you prepare the filling. Peel and dice the apple and pears and saute them over medium heat with butter, cinnamon and clove until tender (approximately ten minutes). Remove from heat and let cool approximately 5 minutes. In the center of your dough, layer fruit and honey. Top with Brie and walnuts. 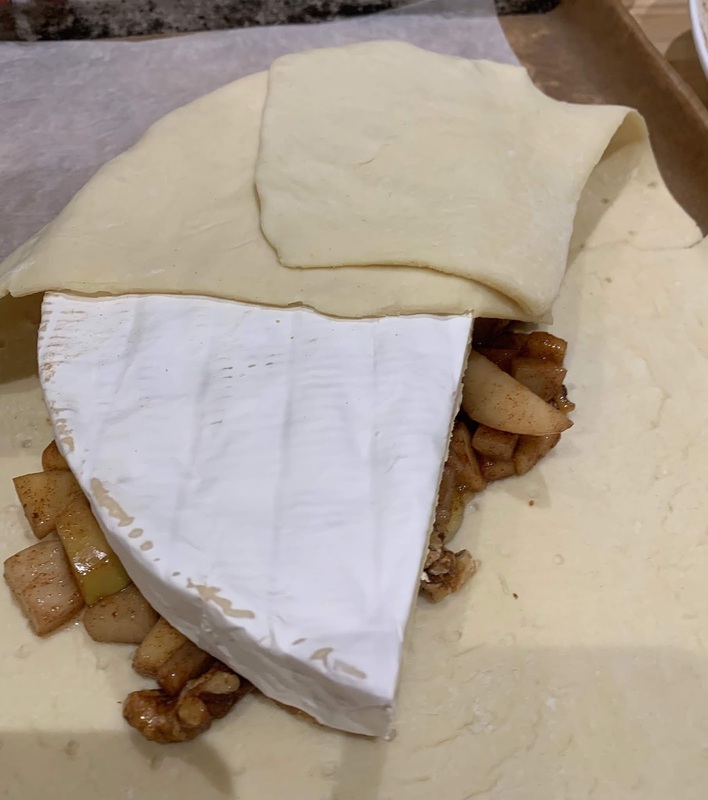 Fold dough around the fruit and brie until sealed. Beat the egg and brush mixture onto dough, paying special attention to the folded edges. Bake on center rack for 15 minutes. Remove when golden brown and finish by drizzling pomegranate molasses and sprinkling pomegranate seeds. Cut in half and serve with crostini, crackers, fruit slices or pretzels.